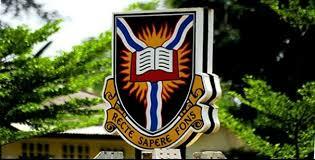 University Ibadan (UI) Post-UTME Admission Screening Exercise Schedule for 2018/2019 Academic Session - See UI Post-UTME Screening Date, Time and Venue and Steps to Reprint UI Photocard. This is to inform the general public and especially candidates that registered for the University Ibadan (UI) 2018/2019 academic session post UTME screening exercise that the institution has fixed the screening exercise date. UI Post-UTME test for Prospective candidates who have successfully completed their biodata on the website of the University of Ibadan will be coming up ON FRIDAY 14th AND SATURDAY 15th September 2018. Prospective UI Post -UTME candidates are advised to log on to www.admissions.ui.edu.ng to print their photocard now! CANDIDATES ARE ADVISED TO BEWARE OF FRAUDSTERS WHO MAY REQUEST THEM TO PAY ANY AMOUNT FOR THE PURPOSE OF ASSISTING THEM FOR ADMISSION. ANYBODY WHO FALLS VICTIM DOES SO AT HIS/HER OWN RISK.